Three Westfield High School students are among more than 780 of the most musically talented high school students in the Eastern region of the United States selected to perform in the 2019 NAFME All-Eastern Honors Ensembles to be held in April. 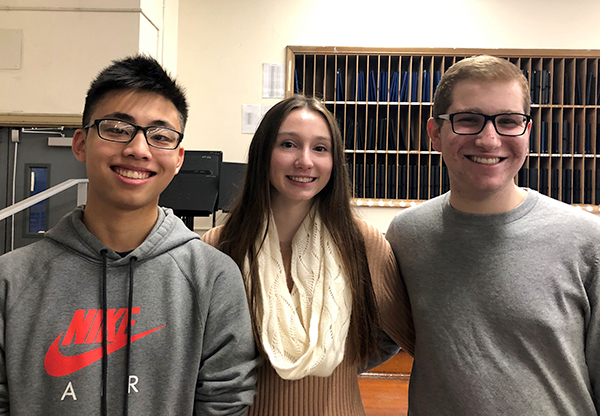 (above l-r) Senior Kevin Li and junior Brooke Walden will perform with the 2019 All-Eastern Honors Orchestra next April in Pittsburgh. Senior Matthew Siroty will sing with the All-Eastern Honors Chorus.